10. A test for impossibility? Bruno Ernst is the pen-name of J.A.F. de Rijk who at present lives in Utrecht in Holland and who has made the acquaintance of most of the leading artists and scientists working in the strange world of impossible figures. He first met M.C. 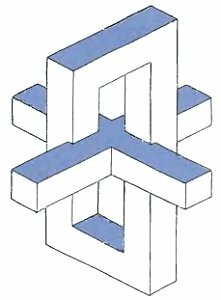 Escher in 1956, two years before the publication of the famous article by L.S. & R. Penrose. Bruno Ernst was a great admirer of Escher's work and keenly followed the development and publication of the three prints 'Belvedere' (1958), 'Ascending and Descending' (1960) and 'Waterfall' (1961). 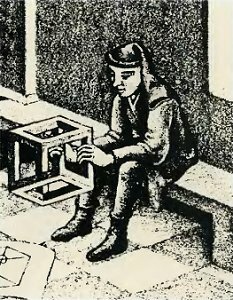 He wrote articles about them and then published the major book about Escher's life and work 'The Magic Mirror of M.C. Escher' in 1976. 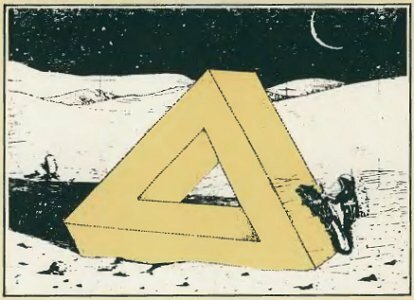 In 1982 it was the publication of a collection of impossible figures by the Swedish artist Oscar Reutersvärd which again stimulated Bruno Ernst's interest in the subject. From this arose the plan to organise an international exhibition dedicated to impossible figures in Utrecht in the autumn of 1986. 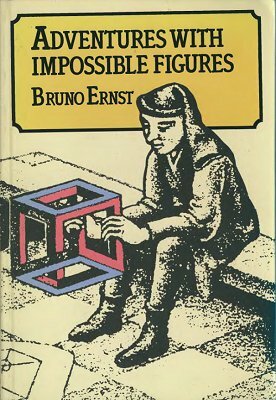 In this book Bruno Ernst is our enthusiastic guide to the charm and fascination of the world of impossible figures. It could only have been written by someone with a long and intimate knowledge of the subject and for whom the discovery of the impossible world is still a personal adventure. To Roger Penrose, who published the first notes on impossible figures in 1958 and who opened up a delightful field of experiment and investigation. With thanks to Drs. N. Lakeman for their encouragement and inspiration and to W.F.Veldhuysen, Cordon Art for permission to reproduce the works of M.C Escher. This book is the English version of the original book in Dutch entitled 'Avonturen met onmogelgke figuren' published by Aramith Uitgevers in 1985 and copyright Bruno Ernst. It was translated into English by the Ostermeier family, Pam, Jan, Elizabeth & Emma and Gerald Jenkins. 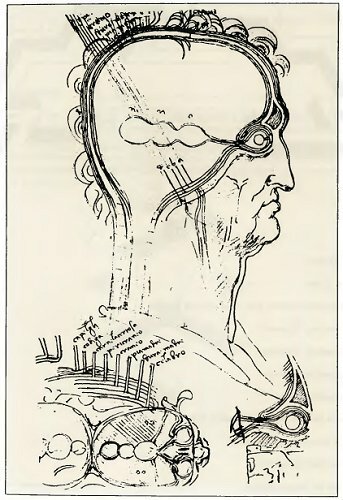 Leonardo da Vinci drew this cross-section of the head in about 1500. Although the anatomy of the brain itself shows little connection with reality, the relationship of the eye and the brain was clearly understood. This book is about the remarkable world of impossible figures. Figures which can be imagined or drawn, but which cannot be made in any concrete form. The impossibility is of a very special kind, existing and yet not existing, but also seeming to have a firm grip on the mind and on the imagination. It is not the impossibility of say a woman with a fish tail. Mermaids do not exist, but there is no problem imagining them, drawing them, or even making bronze or marble statues of them. Nor is it the impossibility of say a square circle. A square circle can neither be imagined nor drawn. The conflict between the word 'square' and the word 'circle' is so great that they cannot be dealt with simultaneously. No drawing is possible. The impossible figures we shall meet in this book are strangely imaginable and they can be drawn. That is what gives them their fascination and their attraction. They open up a new world, a world which intrigues the mind and which offers new insights into the nature of perception.